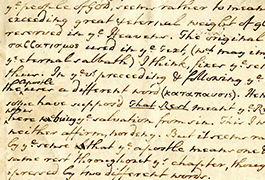 This manuscript from the hand of John Wesley (1703—1791), the founder of Methodism, preserves a sermon on Hebrews 4:9 that remained unpublished until 1940. 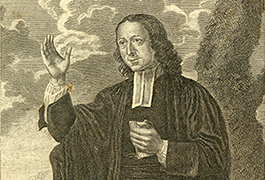 Discovered and published by Albert F. Hall, a Methodist minister and collector of early documents in Oxfordshire, the ten-page sermon paraphrases Richard Baxter's Saints Everlasting Rest, a book that Wesley long had recommended to his followers, and which he edited in 1751 and had reprinted many times. 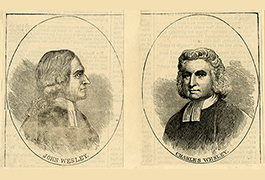 Wesley's sermon was written on June 15, 1758, a rainy day that received no comment in his journal, but which delayed his travel from Birr, Ireland, to Limerick. 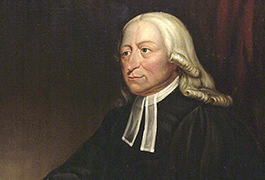 Additional information about John Wesley's 1758 Sermon at Bridwell Library is available in the Early Methodists and Their Books web exhibition on the Bridwell Library website. 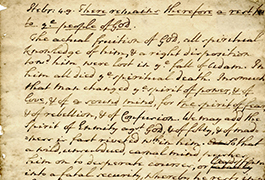 This digital collection of John Wesley's 1758 sermon presents large-format scans with a searchable transcription by Albert F. Hall. 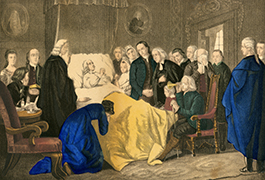 For more information, please contact Bridwell Library Special Collections.